With the third installment of ComplexCon right around the corner, more and more special event-only shoes are being unveiled. Last year brought us everything from UNDEFEATED Air Max 97s to “Gold Top 3” Air Jordan 1s and a plethora of unique collaborative Air Force 1s, but the most desirable — and valuable — shoe at the whole event was unquestionably Pharrell‘s “N*E*R*D” adidas NMD HUs. 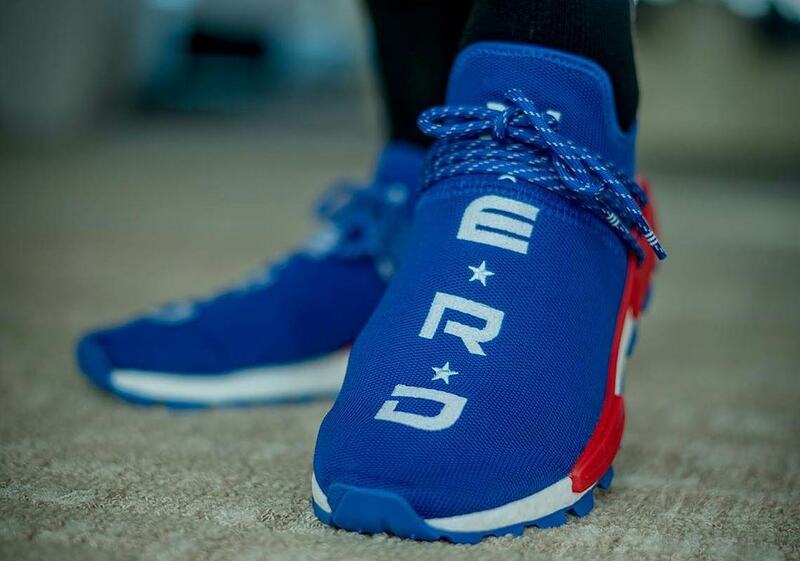 Now it’s looking like ComplexCon will serve as the staging ground for another adidas NMD release in 2018, as images of a brand new N*E*R*D HU set to be an event exclusive have surfaced. 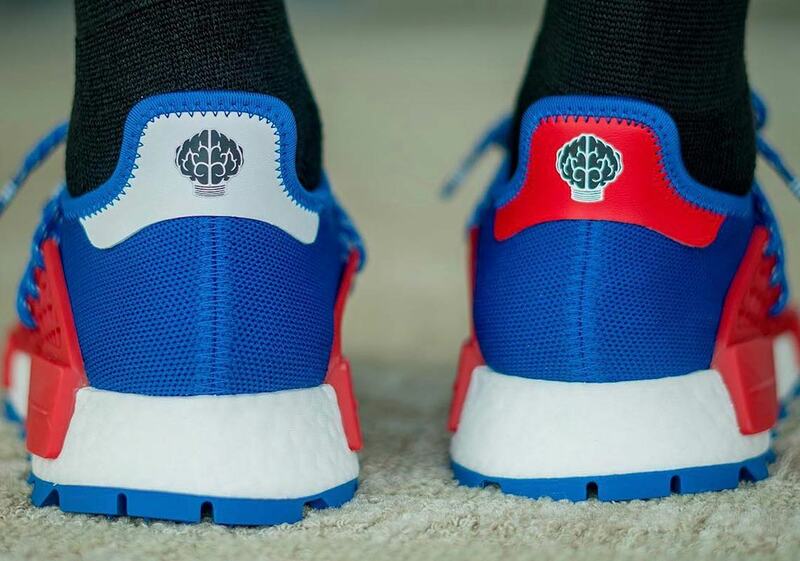 Calling upon a sporty royal blue for the upper and outsole while a crisp white appears on the embroidered detailing and thick Boost midsole, the shoe’s bold accents arrive via the hot crimson midfoot cage and midsole bricks. 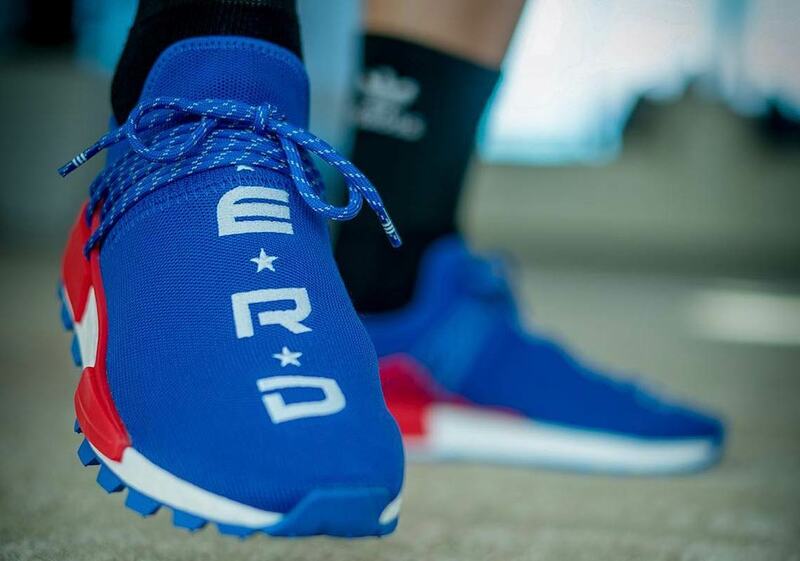 Flecked laces provide an extra pop of detail, and the heels — one silver, one red— feature N*E*R*D’s signature brain lightbulb logo. Get a first look at these colorful new NMDs below, and stay tuned for more details on the drop/other ComplexCon releases as we have them. 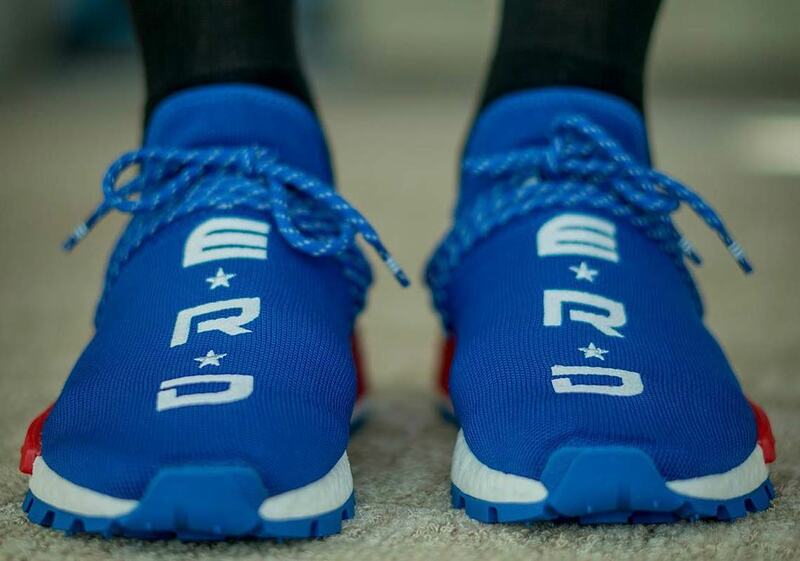 The post Pharrell, NERD, and adidas May Release Another NMD Hu At ComplexCon appeared first on Sneaker News.